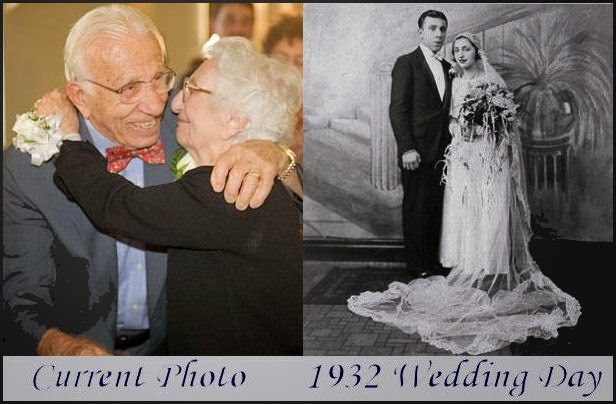 John and Ann Betar eloped on November 25, 1932 - because Ann's father had planned to marry her off to a man 20 years older. But she was in love with the boy who lived across the street, who drove her to school every day. 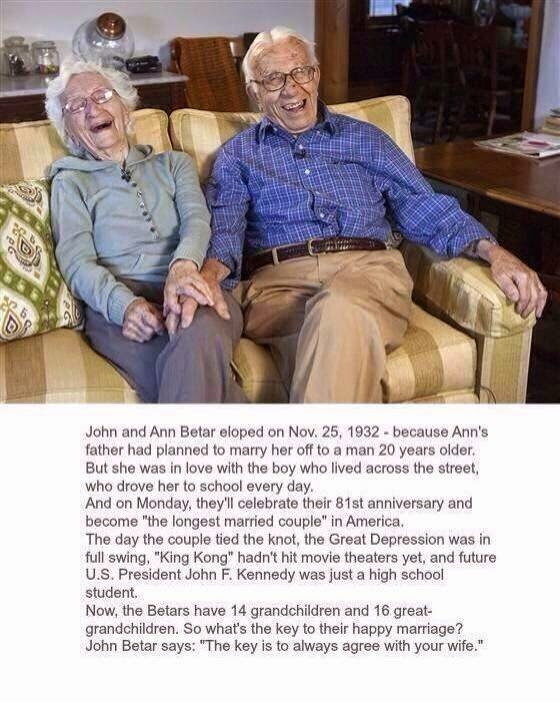 And on Monday, they'll celebrate their 81st anniversary and become the "the longest couple" in America. The day the couple tied the knot, the Great Depression was in full swing, "king Kong" hadn't hit movie theaters yet, and future U.S. President John F. Kennedy was just a high school student. Now, the Betars have 14 grandchildren and 16 great grand children. So what's the key to their happy marriage? john Betar says: "They Key is to always agree with your wife".